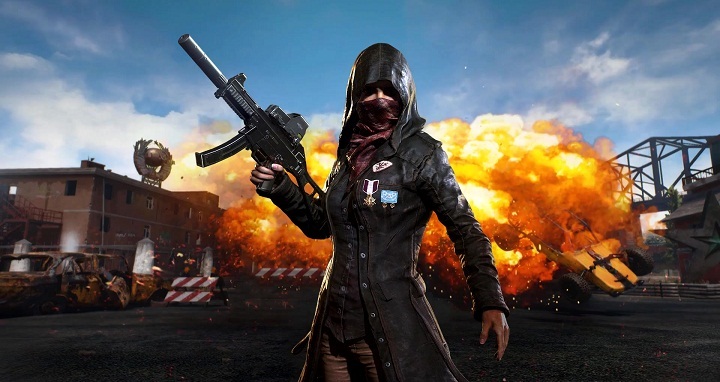 Dhaka, 11 September, Abnews: Ranking in PUBG is nothing but making your way to the top 10. As the game begins there are many players competing each other with different stats. Better ranks mean you have more chances to win, and your match making process will be with stronger players. by defeating them you have a chance to increase your rakings more. have higher kill rate. Ratings contribute to the ranking part of PUBG, and in this guide, we bring you details on how this ranking system really works and what essential steps we can take to crawl up in the game. Matchmaking is affected when your ratings are high, if you are in a match where you are competing with lower ratings players then wining those matches won't help you at all. instead, if you are fighting with stronger ones you can earn better rewards. another great benefit of having higher ratings means you have a highly improved character in the game. You will be better in the fight, the game mechanics for your will be improved, more map awareness, etc. PUBG is a survival game, by continuously playing various levels you will gradually grow. So if at the start point you are unable to gain good ratings let it go. There is a huge difference between the statistics of players on top and those who are average. however, it is not smart enough to directly compete with high rating player you won't have high chances to stand against them. What matters is to practice, the better players you face, the more you learn. depending on the gameplay you have to build up your own strategies to stay alive for a longer period and this will be possible if you keep playing. For example, after playing a few hours it is possible for you to survive more at the starting point. Later you can make your progress in the mid-game and then comes the toughest one the final part, The end where the circle shrinks to a minimum. one strategy you can follow is to stay near the building where you can spot other players easily. Without exposing yourself you have to hide, another player will do your job of killing whoever is trying to enter the premises. And when the maximum is down, you can go inside and take the defending player. In this way you get chances to earn a good amount of loot as well you don't have to face many players. There many novice players who keep running around and becomes an easy target, tackling them is a hard part. The more you die, the lower your ratings will be. PUBG rating system relies on the Kill-Death ratio. if you die more and kill less you will fall down on the graph, and if you follow the reverse pattern you will see yourself going high in rankings. Getting high ratings means more chances of winning. The ratings also depend on your status in the game. Like if you are able to win a game your rating will increase and if you die the same will decrease by some point. So the objectives are to get the highest amount of kills to stay on the top. These ratings fall also, depending on the player current stats. PUBG has not released any public info about the rating system so most of the info is based on the gameplay experience. As we had mentioned the Ranking relies on Win and Kill ratings, win ratings has a major contribution. And this is based on where you are placed in the match. For example, if you are able to get on a higher place with one kill then your will earn more points than killing multiple players. once you are able to spot yourself in the top 10 leader board, you have to crawl up to 6th place to gain win rating. Higher ratings mean more to do, you have to earn certain kills to maintain your position or else the ratings will drop really fast. One way of earning better ranking is to understand others strategy. this comes with time, you will be able to understand where the players can easily hide, and you can use this against them. it will help you to take fewer losses and slowly in this way you can grow up in the leader board. You have to mark down your place from where you can strategically plan your kills. The position is everything in the game, it is one of the vital points required to earn ratings. Try using various play styles, this will also help you understand which one contributes more to your ratings and then you can try out that constantly in various matches. Due to different styles, it is easier to manage different risk in the game, and you can easily spot changes in your ranks. You will learn about the position with time, so usually, this is not a novice topic. Position matters a lot on PUBG, a good one means easy kills and your survival rates increases more. It is necessary you must figure out ways to dodge bullets, and strategy to camp. finding something that can offer you good cover will put on the plus point. it does not matter if you are not near the center. You will have time to reach there, but what matters is to reduce the number of players around. Some pro players choose high points, like a cliff or a roof of a building, that offers them a clear view of what is going around. The position does not means you have to be in a building, sometime in the forest you can find the area where you are not easily spotted, you can take benefit from the terrain and kill others. Your exit point is also important, you must know if you are spotted and unable to fight, how to escape. Every position must have a valid exit point, so that your escape time must be less. one gamble you can play is to reach the center and find the nearest building. well, others also think about the same, but if you are able to get to the point first, you are stronger then. others will definitely try to enter and you can plan your kill strategy. Camping around the circle is the best way to get kills. at the final stage when the circle shrinks most, try to stay away from the fire fight, it is really bad if you are caught between it. A common mistake done by many players is they move really fast when the circle shifts. Stay back and do this last. Let the circle shrink and move with it. A lot of players expose themselves at this point. Keep camping quietly, there is a max chance that you will be the last one to move, and there is no one on your back to shoot you. You also have the chance to take down those who are moving ahead of you. This works when the circle shrinks towards your direction, but if it is on the opposite side then you can face the tough time. As this point, you have to move early without waiting so that you can avoid max damage from the blue circle. In PUBG killing the last person matters the most, this is where you will see a boost in your ranking. it is best to stay out of the fight and let others kill each other. They are making way for you, but keep a close watch on people around. you might able to spot the last one and killing the player will give you good points. Always wait for engagement until you reach the Top 10. When you are in the top 10, if you use guns others will be alerted. This is the point where matches are tough. When you are able to reach Top 10 still you have to avoid the conflict at all cost unless you have a really good position to camp and you are in Top 5 or Top 3. Always play a defensive game when you are in Top 10.